ESPN NFL analyst Mike Clay may describe himself as an “iRacing hazard,” but he scored a victory in a race at Martinsville Speedway after a full-contact final lap, according to a video he tweeted. Clay’s driving the white and green No. 13. 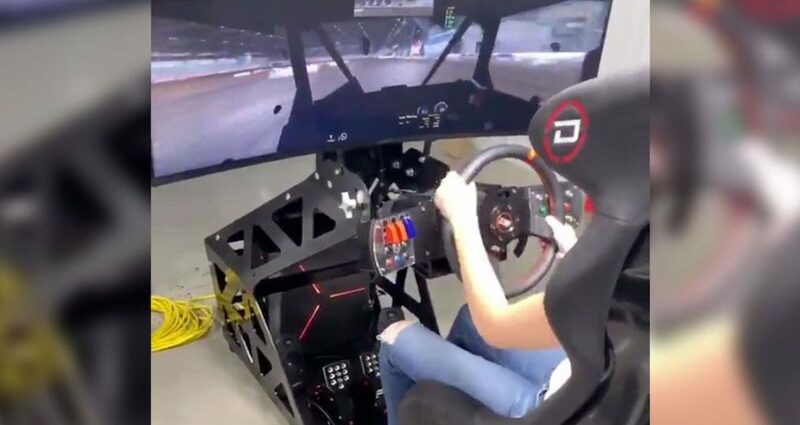 Christopher Bell showed off a new iRacing chassis to elevate his game. Not to be outdone, Kyle Larson shared a new rig of his own. Check out the size of that monitor. Oh, and Ricky Stenhouse Jr.’s ready to get in on the action, too — as soon as he builds a new computer. A New Larson on the Rise? There’s no doubting Kyle’s skill behind the wheel, but it was another Larson turning heads this week. Katelyn, Kyle’s wife, jumped on the sim rig to spin a few laps on iRacing’s digital Chili Bowl track. Look out. The Gander Outdoors iRacing Pro Invitational took place Tuesday at Martinsville Speedway, gathering some of the most notable rising NASCAR stars into equal Gander Outdoors Truck Series-style trucks on iRacing. Christian Eckes made a late bump-and-run pass on Garrett Smithley to take home the victory and a pile of bragging rights. No word if Eckes received a virtual grandfather clock for the win. Michael Waltrip and Kaitlyn Vincie joined the RaceSpot TV broadcast as guest commentators. When Kyle Busch scored his 200th NASCAR national series victory at Auto Club Speedway, it sparked debate on the Internet about which NASCAR-sanctioned series count toward the victory total. By some definitions, could four-time eNASCAR PEAK Antifreeze iRacing Series driver Ray Alfalla — a highly-decorated winner among the iRacing ranks — be considered the greatest racer of all time, despite never racing a physical race car? NASCAR on NBC analyst and former crew chief Steve Letarte has thrown his hat into the growing iRacing ring, announcing the formation of his new team, Letarte eSports. Rookie Nathan Lyon and third-year racer Chris Shearburn will drive for the team. The eNASCAR PEAK Antifreeze iRacing series makes its fourth stop of the season at Texas Motor Speedway tonight (3/19, 9 p.m. ET, eNASCAR.com). With over $100,000 on the line in the eNASCAR PEAK Antifreeze iRacing Series, the competition has never been tighter. Who will #ReachThePEAK? The second week of the NASCAR Heat World Challenge is underway. This week, five fast drivers per console on NASCAR Heat 3 will compete at Eldora Speedway and add their names to the list of finals qualifiers. The series offers more than 50 prizes to eSports racers and culminates in the World Finals on Sunday, May 5. Even if you’re not the fastest racer (like the author of this blog, for instance), 704 Games is offering prizes to randomly selected players, too. 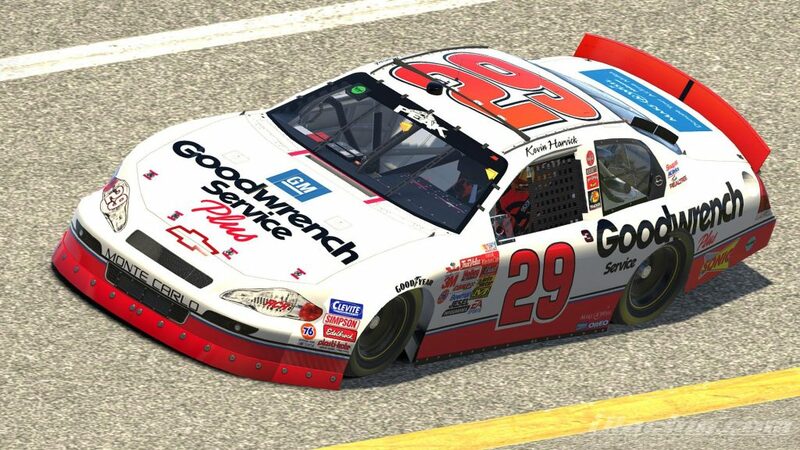 Using an older iRacing K&N Pro Series body, Justin Rowden re-created Kevin Harvick’s famous 2001 paint scheme from Harvick’s rookie season. NASCAR Heat 3 eSports racer FrozenToes24 showed how to avoid trouble on a chaotic start at Daytona during the NASCAR Heat World Challenge. Nicely done!